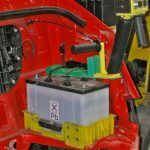 Dalmec manipulators equipped with gripping devices for the handling of automotive batteries. 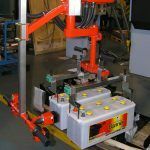 Manipulator Micropartner type, equipped with suction cups tooling for gripping, handling and positioning of batteries into car baggage car. 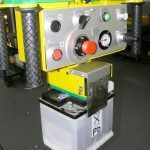 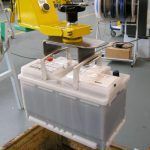 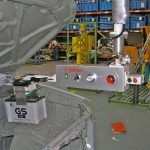 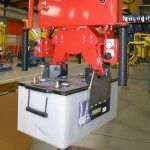 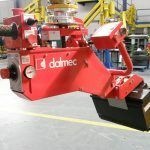 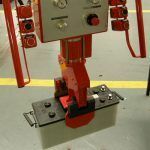 Dalmec industrial manipulators for batteries are custom-built, with specially adapted design, dimensions and picking systems to suit the specific requirements of the users and the various environmental conditions available.